Home › Iranian Nuclear Crisis › New President in Town – The Rules Are Changing Towards Iran’s Accountability! The eruption of tensions between the US and Iran over the recent period, is perhaps an indication that the rules of the game are changing, towards accountability, at last. Already in our piece titled American elections and Iran from November 8, 2016, we anticipated that following the American presidential elections there will be a need for “continued sanctions, a robust policy towards and a demand for more accountability from Iran”. Already on December 8 we predicted that Iran, standing out in its defiance, poses the biggest defense and foreign policy challenge to Trump. This week, our prediction was reverberated by thehill and wsj. The WSJ even titling their article “Iran moves atop confrontation list“. 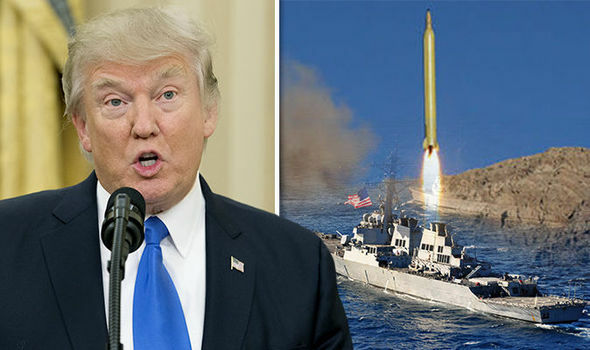 The events began with a series of defiant actions by Iran, including the missile launch (in violation of the spirit of UN resolutions), the continued Iranian support of the Houthi rebels who shot at a Saudi frigate and the threatening stance against a US navy ship. These led to a series of American responses, among them the Trump tweet “Iran is playing with fire” (see telegraph), the imposing of fresh sanctions, the Mattis statement “Iran is the biggest state sponsor of terrorism” (see yahoo), the Pence assertion warning Iran not to test Trump’s resolve (see yahoo), the refreshing stand that “nothing is off the table”, the renewal of the debate regarding the designation of the IRGC (see reuters), the national security advisor “putting Iran on notice” (see theguardian) and the spokesperson’s declaration “there is a new president in town”. It is most interesting to note how many articles and papers found reason to understand and justify a new approach on Iran. Some highlighting the Iranian threat (see foxnews), some emphasizing the weaknesses of the previous UN resolutions (see lamenting the fact that Iran has become more powerful and more threatening (see washingtonpost) and some rightfully observing that Iran is “topping the list” of confrontational elements with the US (see wsj). Perhaps we are witnessing before our eyes a genuine change of the rules of the game. From Obama’s weak and appeasing policy, most probably misguided under the will to save the nuclear deal at all costs, towards a policy of true accountability. It was equally interesting to see the coverage of the Iranian responses. On the one hand, the media gave voice to the Iranian attempt to project further defiance and militarism, like the quickly organized military drill (see wsj), the threatening rhetoric (see farsnews) and the supreme leader’s scorn and sarcasm (see wsj). On the other hand, central media outlets had to admit that the Iranian armor was not so shining as perceived. The nytimes dared to title an article “Now they’re worried”, and the nypost titled one “Looks like team Trump just made Iran blink”. A move from overlooking and disregarding Iran’s defiance, to an approach of demanding and expecting accountability, is most timely and crucial. Perhaps there is a new President in town. About time.